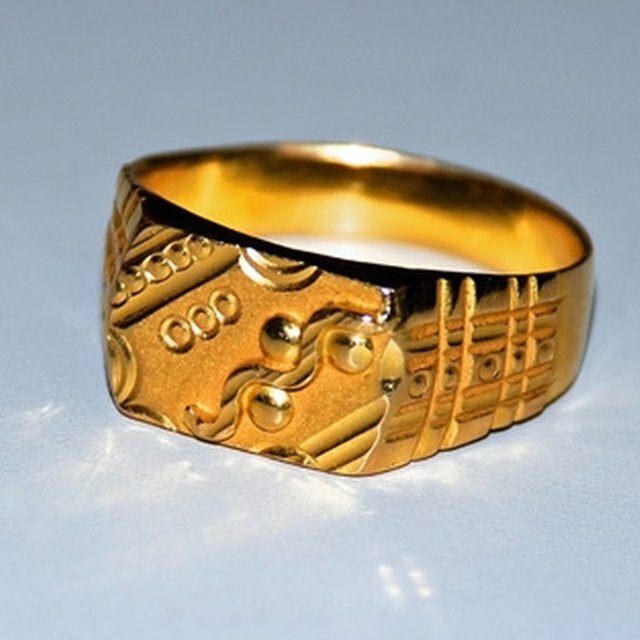 Gold has long been cherished as one of the most valuable and exotic metals. Ancient civilizations incorporated gold into coins, jewelry, royal adornments, ceremonial objects and countless other precious artifacts. Gold's enduring popularity flows from its impressive array of desirable qualities -- it is visually attractive, rare, easy to work, extremely durable and highly resistant to rust and corrosion. It is not surprising that such an expensive, coveted substance has encouraged plenty of fraudulent metalworking practices over the years. If you are concerned that your gold ring is actually a mixture of gold and cheaper metals, you can find out the truth with the help of volume, density and mass. Clean and dry the ring. Place the ring on the precision scale and record the weight in grams. Fill the graduated cylinder with water. To make your measurement more accurate, carefully adjust the water level so that it is exactly even with one of the measurement markings. Record the volume of water. Place the ring into the graduated cylinder, making sure that no water splashes out. Record the new volume of water. Determine the volume of the ring by subtracting the original volume of water from the volume of water after you dropped in the ring. Calculate the density of the ring by dividing the mass in grams by the volume in milliliters. Compare this number to the standard density of gold, which is 19.32 grams per milliliter. If your calculated density is very close to the standard density, you can be confident that your ring is pure gold. This technique is effective in most cases because typical jewelry metals mixed with gold, such as silver or copper, have densities that are much lower than the density of gold. 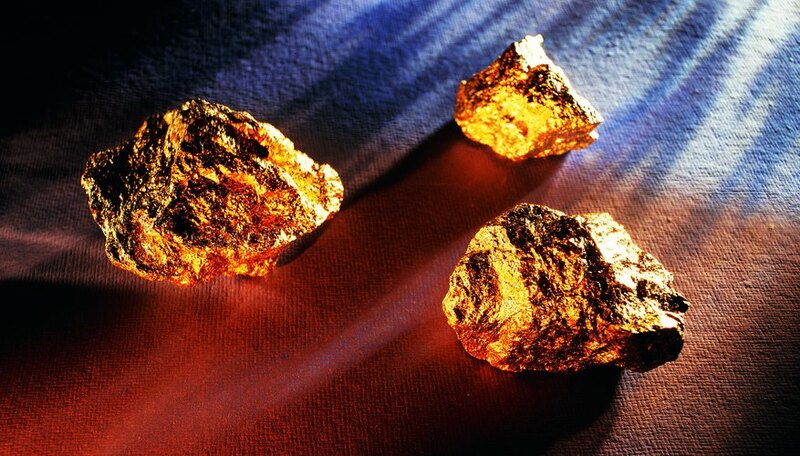 Gold could theoretically be mixed with tungsten, and this adulteration would be more difficult to detect because the densities of gold and tungsten are very similar. West, Joseph. "How to Tell if a Gold Ring Is Pure Gold in Chemistry." Sciencing, https://sciencing.com/tell-gold-ring-pure-gold-chemistry-8654.html. 24 April 2017.